Keeping track of New York City’s most prolific real estate brokers, developers, investors and the buildings they build and market is an eternal undertaking. If you’re not checking The Real Deal every few hours, you’ve most likely missed a piece of information that could inform your future decisions in this industry. Our rankings and reports are particularly helpful resources for understanding the state of the office or retail leasing market, learning the top agents and brokerages or discovering the largest upcoming projects across the five boroughs. TRData, The Real Deal’s comprehensive New York City real estate database, has a page dedicated to these rankings where each new article is added as it is posted on the website. Each of our rankings and reports have been thoroughly researched and vetted and now you can view them all in one place. If you’re a developer in the final stages of constructing a residential condo building in the Bronx, our ranking of the brokerages with the highest value of closed sales in the Bronx would be useful. If you’re an office tenant looking to follow a successful company into a new office development, our ranking of the top office leases signed in July would be exactly the information you’d need. 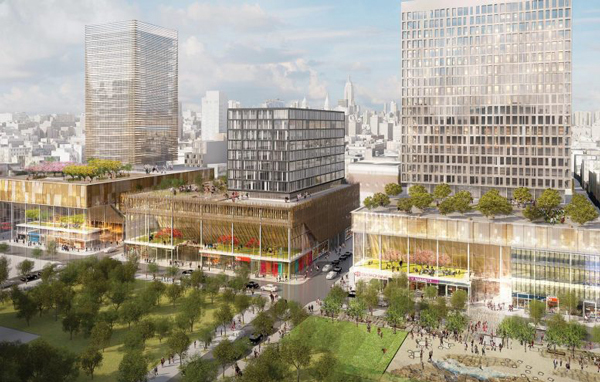 Curious about the top projects coming to NYC? Essex Crossing tops that list and can be found here. Looking for an even more detailed ranking and analysis of NYC real estate companies and developments? TRData has packaged data ranging topics from the top 100 largest residential projects in development to the top 50 new building contractors to the 1,000 most expensive deed transactions in the city including their title insurers and attorneys. Click here to check out the full list of packages available and download a free sample to see the data for yourself.